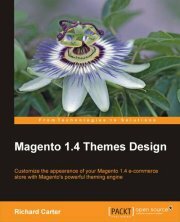 As experienced Magento consultants, Peacock Carter can help you to create professionally built bespoke Magento themes. With years of web design experience and as a highly regarded as a North East web design agency, Peacock Carter have helped countless ecommerce businesses succeed online, and we can help you, too. Our Creative Director, Richard Carter, is author of four books on Magento theme design – Magento 1.3 Themes Design, Magento 1.4 Themes Design , Magento Responsive Themes Design and Learning Magento Theme Development, and we have helped clients around the world create the Magento theme their business deserves. Contact us on 0191 499 8456 if you would like to discuss your Magento theme design project.